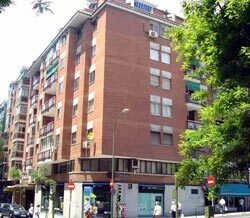 This apartment is situated in the residential Delicias neighbourhood. 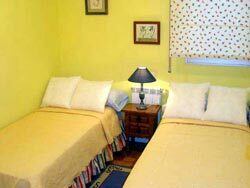 It is very close to the city centre and is very near to the Atocha train station and sights like the Prado Museum. There are many shops 'tapas' bars and good restaurants in the area, which is well communicated both by Metro and bus. The apartment is large (approx. 115 square metres) and can sleep 7 adults comfortably. 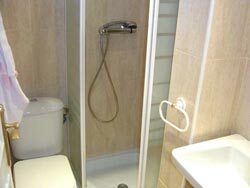 The master bedroom has a large double bed bedroom and en suite bathroom. There is also a bedroom with two single beds and a third bedroom with just one bed. The large living room has double sofa bed and finally there is also an additional bathroom at the end of a long corridor. The living room is divided in two sections: one with 2 sofas in the TV area and the other with a dining table for 6 people. 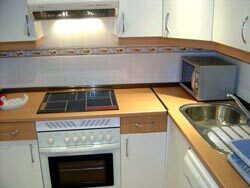 The kitchen is fully-fitted with new appliances and includes all cooking utensils and other necessities. The building is has a concierge (Monday to Friday) and two lifts / elevators. 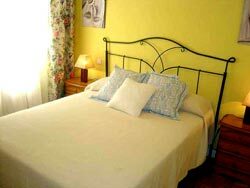 The apartment is a 3 minute walk from the "Palos de la Frontera" Metro station (line 3). This is a centrally located residential area just a few Metro stops from the centre of Madrid. 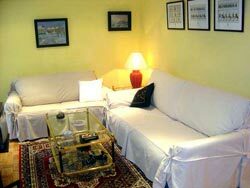 The apartment is very close to Atocha train station, and the Reina Sofia & Prado art museums.